In the last issue, we commenced a presentation of the wonderful recollections of Mr. Chidambaram Krishnan, a long-time devotee of Bhagavan Baba who came to the Lord under somewhat unusual circumstances. 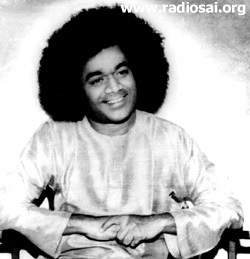 In Part 1, we broke off at a point where Swami had glanced at Mr Krishnan for the first time and left for a small town named Surandai in Tirunelveli District, Tamil Nadu, leaving Mr. Krishnan wondering who was Swami and how Swami could prevent his death that seemed to be imminent. Read on and find out what happened next! Surandai is about 30 km from Tirunelveli. 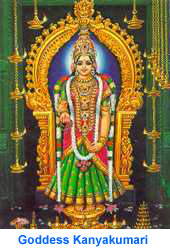 I left Tirunelveli in the morning and was in Surandai by 7.30 A.M. In those days, there was not much of a crowd to see Swami because He was not so well known. 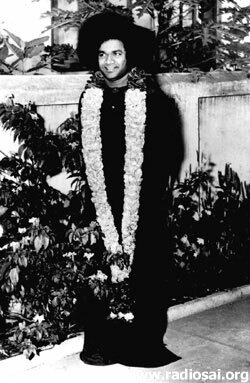 I saw about fifteen to twenty people gathered in front of the house where Swami was staying. That small crowd included, however, many important people from the TVS family and enterprise. A few among those gathered there knew me and greeted me. They told me that Swami was still inside and had not yet come out. Even as we were talking, the door opened and Swami emerged. I had never seen Swami before and knew nothing about Him. It is true Swami often tells us, “You may not know Me but I know everything about you.” However, at that point, I had never physically seen Swami before and likewise, Swami had never physically seen me before. I folded my hands and looked at Him; He too saw me. Then suddenly, He asked those near Him to move aside and came rushing to Me. He then caught hold of my hand and literally dragged me inside the house! Patting me on the back, the very first thing He said to me was, “You are not going to die! I have come to save you!” I was stunned and asked, “Swami, how do You know about all that?” He replied, “This head knows everything!” In a voice that was chocked, I said that I was very happy. Swami then materialised a talisman and asked me to wear it all the time. He also gave me a precious stone and asked me to keep it with me all the time. He added, “If ever you lose it, rush at once to Puttaparthi or Whitefield, wherever I happen to be.” That was an important warning, and there is story related to that which I shall narrate later. You must remember that in those days, I did know anything about Swami, much less about His Divinity. I was rich, haughty and arrogant. Kamaraj Nadar, the famous politician, was my uncle. We had a big company and we owned about forty vehicles including many trucks and cars. We had a huge establishment, and so arrogance was second nature to me then. That was why I was talking so casually to Swami, almost on equal terms. Swami then shut me up, and patting my head affectionately said, “All the grim things you are fearing will simply not happen. You do not know anything about Me. Forget your worries and just leave everything to Me.” I then said, “In that case Swami, I shall, as you say, get married in Puttaparthi.” The conversation about my marriage was over for the time being. 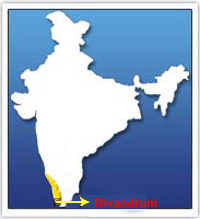 Swami then suddenly asked, “Will you come with Me to Trivandrum tomorrow?” I replied yes. Swami then asked me to go home, pack my bags, and join Him in His tour to Trivandrum on the following day and stay with Him for a few days. So on the following day, I went to Trivandrum along with Swami. We reached there around 3 P.M. and were received by Dr. B. Ramakrishna Rao, who was the Governor of Kerala State then. Swami was given a grand reception, and stayed with the Governor. We also stayed in the Governor’s mansion. The accommodation was fabulous – no surprise in that because this building was earlier a palace. This sort of things happened two days in a row. Bhajans in the evenings, and songs about all Gods but none on Muruga. My patience was being sorely tried. 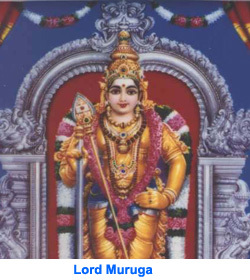 I felt really pained because Lord Muruga had come to my help at so many critical junctures. In our party, there was one Chittoor Ramanathan Reddy. An irrigation engineer by profession, he was in charge of five Districts in Rayalaseema (a region in Andhra Pradesh). 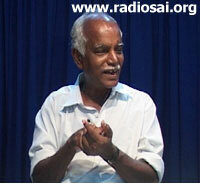 Suddenly during the Bhajans, this Ramanathan Reddy started singing a song on Lord Muruga, and he did a superb job. After that, I felt somewhat relieved. Next morning, we went to Kanyakumari, the southernmost point in the Indian peninsula. Because the Governor was travelling with Swami, the road was cleared of all traffic and our party simply sped along. In Kanyakumari, we were accommodated in the Kerala Government Guest House, and treated to a fabulous lunch. In the evening, Swami said, “Let’s go to the beach.” In Kanyakumari, there is a bathing ghat where it is safe to enter the water. Swami did not go there but instead headed for a rocky spot some distance away. The sea slopes very rapidly there and is very deep. Huge waves often form there, and visitors therefore avoid that area; but that exactly is where Swami went. Many have drowned there and so there was some concern in our party about Swami going there. Kasturi and a few others pleaded with Swami not to go there, but He brushed everyone aside and went straight for those rocks. I too tried to stop Swami saying, “Swami, not there please.” But He pushed me aside. It was 6.45 P.M and rather dark. I had a camera with me, and Kasturi asked me to click a picture. I replied that taking a picture would be of no use since it was quite dark and I did not have a flash attachment for my camera. Swami who heard this said, “You do not seem to know about Me. I tell you, do what Kasturi says.” Rather brashly I replied, “You may be Swami but it is too dark to take a picture now.” Swami was not put off by this impertinence; instead He said, “Just try.” And so I clicked, telling myself one film wasted. But guess what? When the film was developed, there was a beautiful picture; the camera had captured a remarkable scene and it seemed as if it was daylight when the picture had been taken! Soon after I took this picture, a huge wave came rushing towards Swami. I tell you, this wave was real huge! And it engulfed almost half of Swami!! We were all mighty scared, and feared that the wave would carry Swami away. The wave withdrew and we then went near Swami. He smiled and said, “Looks like all of you valued your lives so much that you abandoned Swami and took to your heels!” I said, “Swami, that wave was really a monster; it was so big!” Swami then gently lifted his robe about an inch and said, “Look below!” And what we saw there around His Feet was a necklace with huge diamonds, 108 of them as we found later. 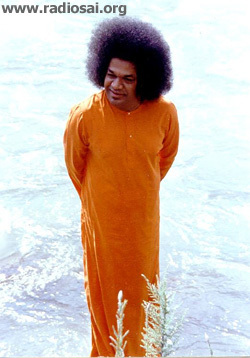 Swami said, “The Lord of the Sea had come to pay homage to Me and make this offering to Me. How could I ignore Him and walk away from the shore? You thought instead that you would be swallowed and ran away!” We then begged for forgiveness. Swami gave that necklace to the Governor. We then adjourned to a nearby spot where there was a nice sand hill. That small sand hill was a favourite spot for visitors, especially because one could see sunrise and sunset from there nicely. That sand pile no longer exists; an observation tower has been now been built there. Swami took us to that spot. We all sat down in a circle. The first thing Swami said was, “I will bring the sea here.” He dug a small pit in the sand by scooping out a few handful of sand, and water appeared in the small pit. He asked us to taste that water, and it tasted just like sea water. Mind you, we were on a small sand pile, a small hill really, and the sea was much below. But Swami made sea water appear on the top there for us. Swami heard all that and said, “Oh I see. Do you want to see that missing gem?” He then put His hand in the sand and pulled the hand out. And as He did so, in His hand was a huge gem. He passed the gem around for all of us to see. I had a torch and flashed the light of the torch on the diamond. Believe me, the diamond was shining like a thousand watt bulb! In our group was a bearded man from Kerala. He was one of the members of the Governor’s party. That man said, “Swami, please give that gem to me!” Swami replied, “This gem was stolen by a king. After he died, the gem was lost and lay buried underground. You all wanted to see it and so I brought it from there. Now it has to go back where it came from – that is the natural law.” In an instant He sent the diamond back! Altogether, we spent a memorable evening there on the beach. We then returned to the Guest House, had dinner and returned to Trivandrum. Next morning, we had Bhajans and this time there was a couple of songs on Muruga which left me satisfied. That evening, we left for Quilon, now called Kollam. The Governor’s establishment had made all the arrangements but missed out on crucial item – I shall tell you about that presently. We went to the beach, which was fabulous and time simply flew by. Swami loves beaches and does not like to leave from there. And so it happened, that we stayed much longer than the Governor’s staff had expected us to. They thought we would make a lighting visit and be back in Trivandrum for evening snacks. But you know, with Swami, schedules are always changed. After we had spent a long and wonderful time there, Swami asked, “Any tiffin?” There was none and everyone was looking at the other. The beach was about five km from the town and if we wanted anything to eat or drink, it meant a trip of five km to procure and then another five km trip to come back to the beach where we all were then. So it looked like there would be no tiffin. It seemed however, that Swami had other plans!